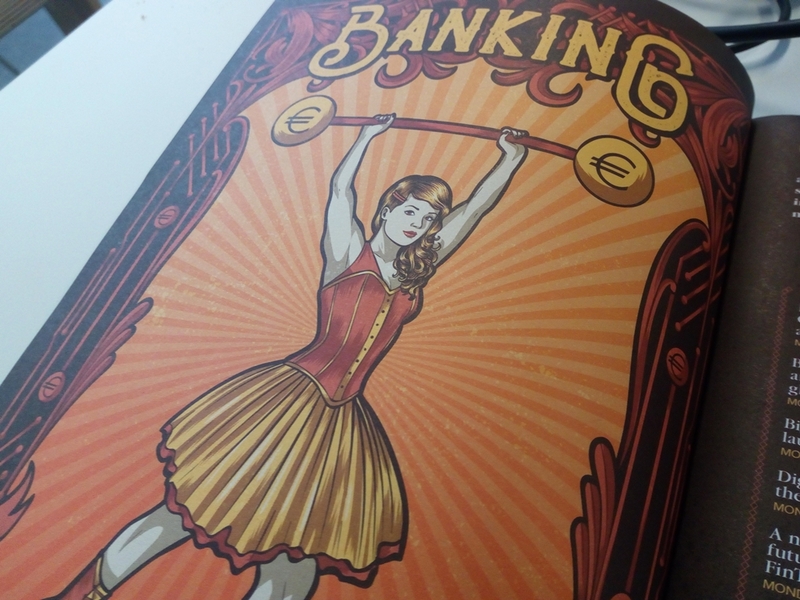 Martin Whybrow sought out the trends and key issues when the Money20/20 Europe circus rolled into Amsterdam this week. 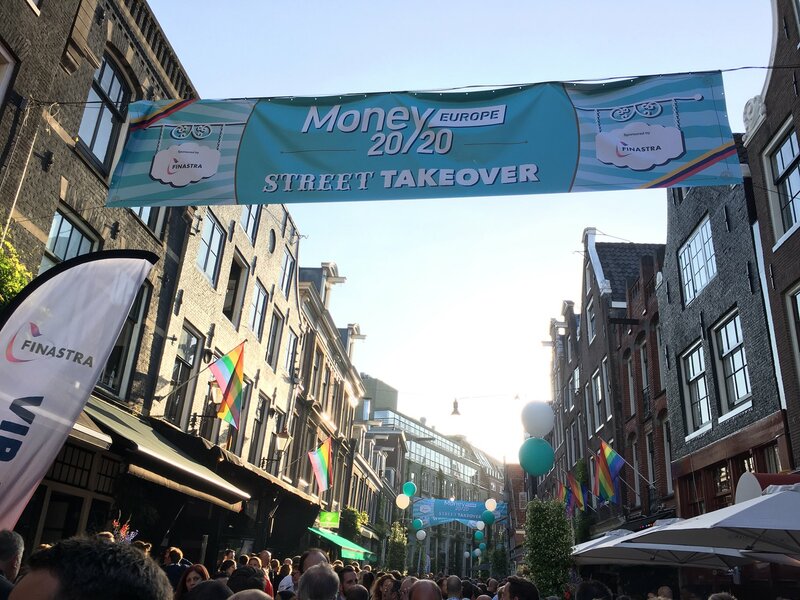 As the payments sector hurtles along at breakneck speed, so Money20/20 Europe is a bellwether. Put 5,000 delegates from 85 countries in one place, give them 470 speakers across nine stages, and see where they head. 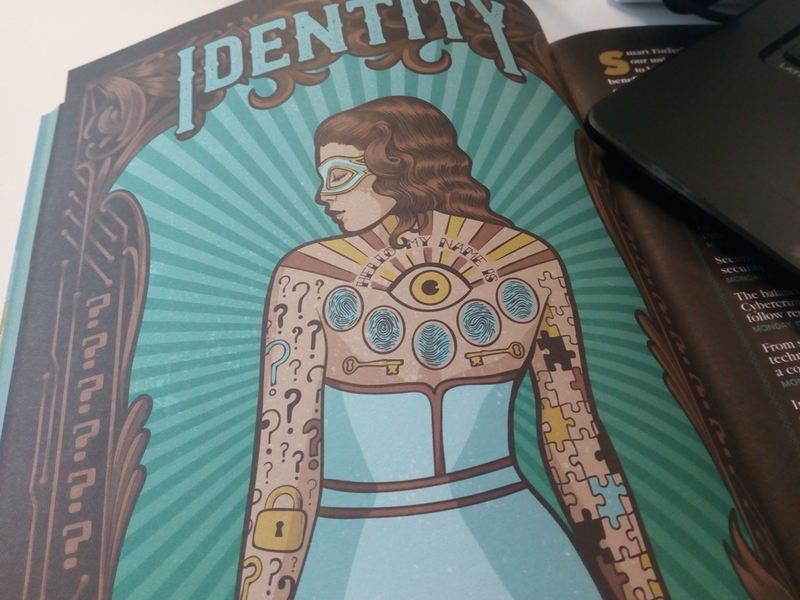 This year, in its new venue of the RAI in Amsterdam, PSD2, privacy and cybersecurity were to the fore. Sessions on blockchain/distributed ledger were – rightly or wrongly – sparsely attended. Shell-shocked delegates took the chance to reflect on GDPR and ask, what’s next? Visa apologised for its major European outage; Mastercard, one of the main sponsors of the show, tried not to gloat. From a geographical perspective, a Monday session entitled “Platforms, payments and partnerships across regions” was perhaps telling – two giants from the US in Facebook and Google, two from Asia, Ant Financial/AliPay and Samsung, no representation from Europe. Out on the exhibition floor, aging household-name suppliers were few (FIS, Finastra – Misys, as was, NCR) but it was hard to move for specialists offering myriad security solutions. More generally, seeing so many participants in the payments space in one place at one time, it was easy to question the need for so many. It looked as though the heavyweights would dominate with PSD2 opening up the banks’ data and with GDPR arguably raising the barrier for start-ups (or lowering it, depending on who you were listening to, but Google’s increase in online advertising market share straight after the GDPR deadline added weight to the former argument). Some heavyweights are not particularly old, of course, but have the massive scale to capture market share. By market capitalisation, Alibaba’s Ant Financial offspring is now equivalent to the tenth largest bank in the world and it has barely got started outside of Asia, currently only focusing on the needs of Chinese tourists. Google hasn’t given up. AndroidPay is now GooglePay and, said Florence Diss, head of EMEA Commerce Partnerships, “we’ve had our fair share of lessons learnt”. The philosophy now is: “We want our users who are searching for something to also be able to transact”. The challenge is always to maintain and build relevance for users, she added, and GooglePay is a coming together of different solutions, building on the user bases of Chrome and Android. Just starting out on the journey is Samsung, with Samsung Pay, which is seeking to pre-integrate services, including payments, into its devices. PSD2 is a catalyst and it expects to also leverage biometrics, said Victor Kim, VP global services business operations. It is not hard to see where this is heading, when considering the Internet of Things (IoT) and developments such as autonomous vehicles (Samsung is a major provider of vehicle components). Throw in ApplePay, Amazon, Facebook etc and it was hard to argue with Visa’s global head of innovation, Bill Gajda, when he advised banks to “forget about payments” on the basis that customers have decided what they will use (whether it was a good week for Visa to be offering advice to anyone was a moot point). It is clear that payments are becoming embedded within core businesses and this coming together is only likely to be ever more seamless. For instance, the AmazonPay e-wallet was made available via Alexa from April in the US and third-parties will offer services, with Virgin Trains fast out of the blocks. It is the first travel operator in the world to provide booking of tickets and payment on Alexa. From concept to go-live was broadly four and a half months, said Virgin Trains CIO, John Sullivan. It takes on average seven minutes to book a UK rail ticket; on Alexa it takes just over two minutes, he said. One downside (spoiler alert) is an imminent advertising campaign featuring Richard Branson. Amidst the heavyweights it is easy to ignore more niche payment plays, driven not by companies wanting to be payment providers per se but as part of their transformation plans. One example is Total with its recently launched e-wallet, for in-vehicle and in-store use. E-wallets have hardly been a roaring success but it underpins this company’s efforts to become a mobility service provider, so moving away from its traditional sector based on fossil fuels. The first iteration of Total’s solution, built with Worldline, brings improved efficiency for customers, reducing queuing times and allowing payment at the pump. Next it is likely to see other payment options added, potentially connected to other service providers, such as for parking, electric vehicle charging and car-sharing. Already at Proof of Concept, said Worldline Baltics CEO, Zanda Brivule, is a third stage where the owner’s car is automatically recognised, the driver is authenticated with biometrics (potentially face recognition) and no other steps are needed to debit the e-wallet. Another company that views payments as part of its transformation is British Gas. Ruth Brougham, head of customer strategy, innovation and new propositions, pointed out that the company only has one or two interactions with its customers per year at present, typically when they are sent their bills and when they want to move suppliers. As such, IoT, in this case particularly through the introduction of smart meters and other devices, offers the opportunity for a much closer relationship. Having listened to all of this, one member of the audience asked, “Will banks provide the channels and modes of interaction or become a back office, a database for others to tap into?” To a ripple of applause from the audience, Ann Cairns, long-haul banker and now vice-chairman at Mastercard, reminded everyone that the industry built the infrastructure that allowed Apple to bowl up and launch ApplePay (the previous keynote speaker, Apple co-founder, Steve Wozniak, had been bragging). Nevertheless, you could see where the questioner was coming from. Of course, the challenge for banks is how they can, in turn, transform and become more relevant. “You can’t differentiate through products, so the only way going forwards is through the service, the experience,” said ING CEO, Ralph Hamers. However, big and small tech companies have set expectations that are hard to match, he admitted. Hamers’ recipe for transformation includes connecting to the big tech companies and accepting that partners are also likely to be competitors. Banks have to be “data obsessed” and open, including offering services beyond banking. Also needed are standardised processes, IT and services across all countries and a different culture that includes agile working, collaboration and innovation. Like so many large banks, ING is seeking to work with and harness start-ups, with more than 150 partnerships and a €300 million venture fund. It is building a campus in Amsterdam that it will open up to universities and start-ups in the hope of “co-learning and cross-fertilisation”. Whether this is enough and even achievable for most banks – particularly in terms of standardising across so many siloes and so much legacy – remains to be seen but it isn’t hard to see banks struggling badly to even catch-up in today’s rapidly changing world, let alone lead. For all the right words and aspirations, real-life examples of innovation nearly all come from elsewhere, not from the banks – whether established ones or so-called challengers. They might feel more cosy and safe in their own events (particularly Swift’s Sibos) but when the rest of the world intrudes such as here, the challenges are starkly revealed. The interest from the fintech community in APIs burns brighter than a thousand suns, but where will this technology and the spirit of open banking take us? The shift from analogues to digital – according to Michael Meyer, Middlegame Ventures, during a regtech discussion at Money20/20 Europe – a major European bank he spoke with files over 50,000 pages as part of its quarterley regulatory reporting. Welcome to polarised missives and glorified databases at the Amsterdam event. Fraud fears, GAFA and other odds and ends from the Amsterdam event. Innovation benefits the entire ecosystem, states Visa Europe's CEO. Are trends eclectic for artificial intelligence (AI)? Perhaps not as the fintech world is getting more imaginative and calling for the machines to negotiate on behalf of less-than-objective humans. At this morning’s (26 June) sessions at Money20/20 in Copenhagen, the themes of AI use cases in financial services and fraud were discussed.